Product Details- Material- Cotton Rope, Use-ideal for outdoor and indoor activities. They are extremely durable and can keep pets entertained for hours. They also help floss teeth and massage gums, Suitable- All Breeds Dogs, Dimensions - 28 cm. 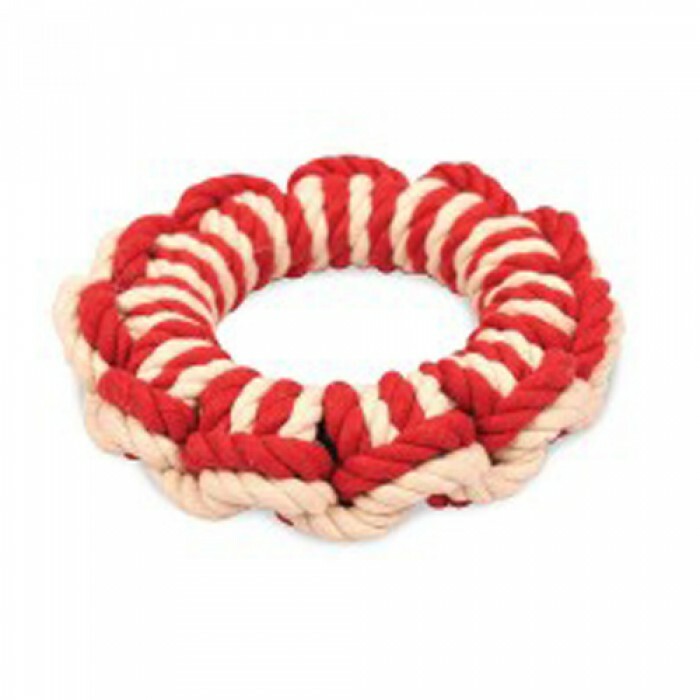 Product Information - The New England life ring dog toy from Pet Brands is ideal for a game of fetch n tug. Its super durable and high quality cotton helps to clean your dogs teeth and gums. These tug toys can be used as a retrieval toy whilst the rope helps to keep teeth and gums healthy. Available in a wide choice of colours.